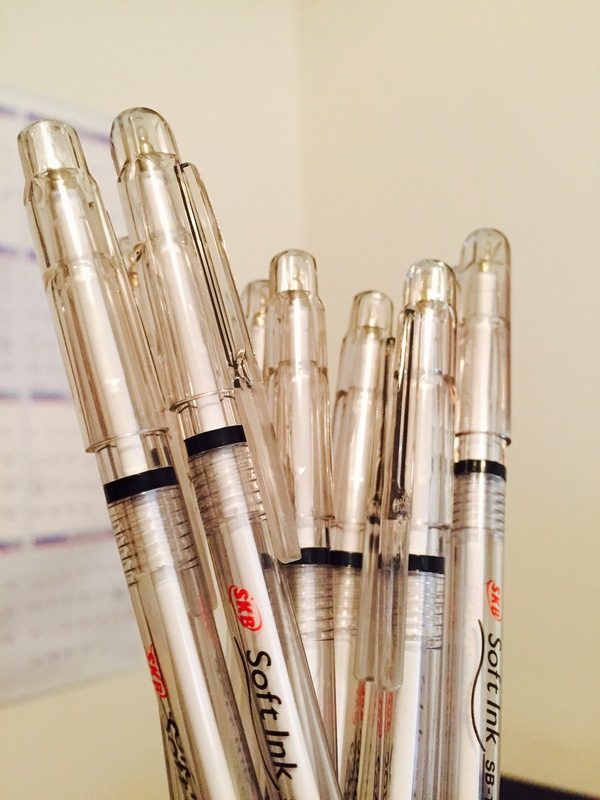 You can’t walk into a store in the U.S. to pick up a pack of SKB Soft Ink SB-1000s. In fact, you might even have trouble finding them online. As far as I can tell, they’re the “generic office pen” of Taiwan, and they certainly look the part. Inside the clear plastic barrel and underneath the ordinary cap, there is a thin stick of ballpoint ink. These pens look like they’re produced very cheaply and are probably quite inexpensive in Taiwan, though you’ll be paying around one dollar per pen to get them here in North America. Beyond having one for its novelty value, it certainly isn’t worth purchasing. 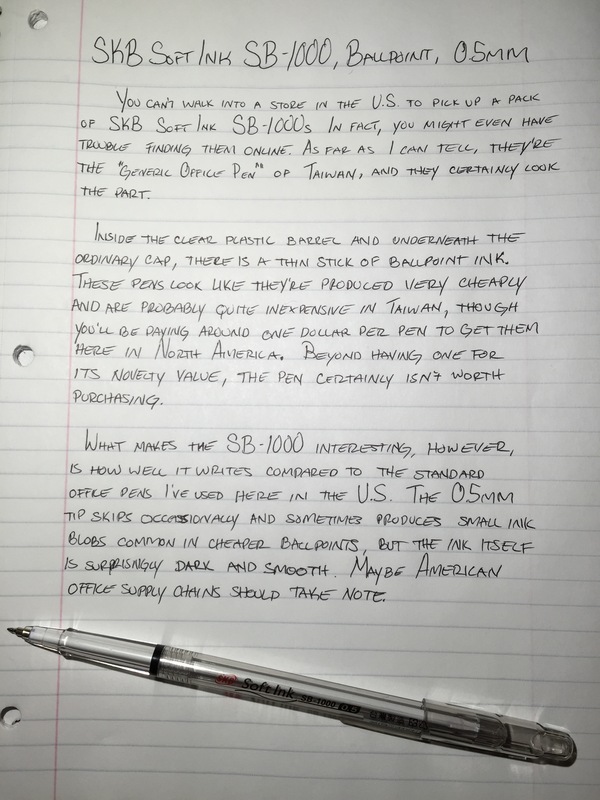 What makes the SB-1000 interesting, however, is how well it writes compared to the standard office pens here in the U.S. The 0.5mm tip skips and occasionally produces small ink blobs on the page that are common with cheaper ballpoints, but the ink itself is surprisingly dark and smooth. Maybe American office supply chains should take note. SKB’s website. It’s not in English, so don’t ask me what it says. Pen Addict’s review because, you know, he’s reviewed pretty much everything. A commercial for the SB-1000. Not in English, but still easy to follow.